Memory foam mattresses have come a long way since it was first developed in the 1960s, with it becoming publicly available 20 years later. Memory foam is a type of visco-elastic polyurethane foam that is adept at relieving pressure, clearly making it a potentially perfect material choice for mattresses. 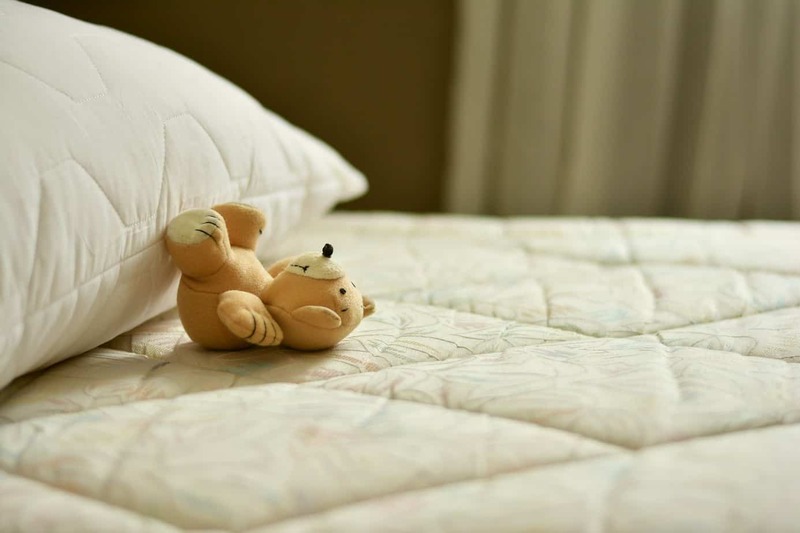 Though memory foam mattresses were first on the market in the ’90s, only over the past decade or so have they began to become more popular than the traditional coil design. Memory foam mattresses are no longer uncomfortably hot or overly soft beds, but instead, have certain technologies that allow them to outperform almost any other type. Two great examples of affordable memory foams beds are by the brands Lucid and Zinus. 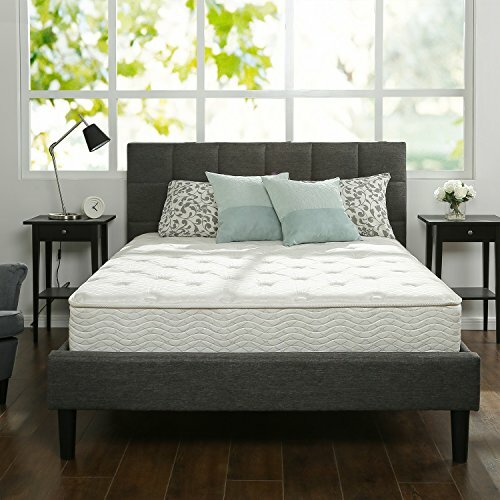 Both companies have an excellent reputation, beautifully designed websites, and a few different mattress models available. Right off the bat, these online-only brands are a bit different than others since you actually have a few individual mattresses to choose from. They also set themselves apart by having incredibly budget-friendly prices. 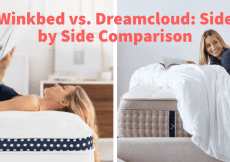 If money and comfort are your biggest concerns but you have your heart set on a memory foam bed, here is how Lucid and Zinus stack up against each other. 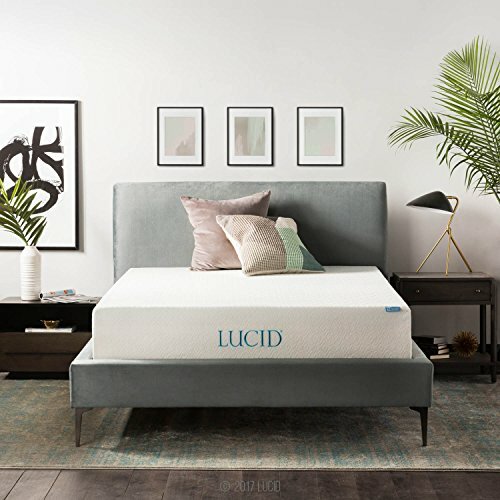 The Lucid mattress brand is an American company based in Utah. They have a wide selection of bedding products, including 14 different mattresses along with toppers and other accessories. Their line of mattresses includes Gel Memory Foam, Plush Memory Foam, Natural Latex + Memory Foam, Bamboo Charcoal and Aloe Vera Hybrid, Latex Foam, and Latex Hybrid. Out of their 14 different mattresses, the Lucid 10″ Plush Memory Foam Mattress is a popular option. The Lucid 10″ Plush is based on the original Lucid mattress, but made with added plushness as its name hints. This mattress offers a medium-plush feel, designed for side sleepers or those that are above average in size. The main purpose of this bed is to offer comfort and stability, focusing on relieving pressure point pain, so that you can get a good night’s sleep. The 10″ is sleek and looks beautiful atop a platform bed or on an adjustable bed frame. 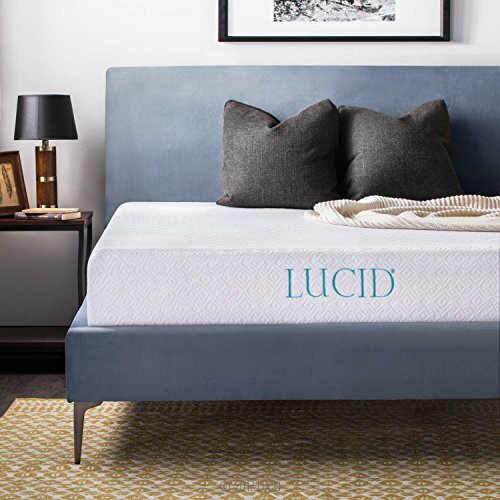 The Lucid mattress combines gel with memory foam to aid in cooling. Lucid includes free shipping for their mattresses and these are shipped the typical “bed in a box” style. Lucid also offers a 25 year warranty on this bed along with a 30 day return policy. Zinus is actually owned by a Korean brand, but has a big name here in the states. Zinus offers a few different products, including 7 different mattress types, bed frames and foundations, and platform beds. The mattress selection includes a mix of memory foam and traditional spring models. You’ll find a Pressure Relief Green Tea Memory Foam, Cooling Gel Memory Foam, Cooling Hybrid Foam, Pressure Relief Pocketed iCoil Spring (Euro Top or Original), Cooling Euro Top Pocketed iCoil Spring, and the original Cooling Pocketed iCoil Spring. The most popular Zinus mattress is the 10″ Pressure Relief Green Tea Memory Foam Mattress. This unique memory foam bed has been infused with green tea extract and ActivCharcoal, leaving the foam with a fresh scent. This model is known for being surprisingly comfortable, with an excellent combination of softness, support, and cooling. Zinus includes shipping via FedEx for free. You also get a 100 night trial with a zero-risk return. Zinus also has a reasonable 10 year warranty. Here is a brief pros and cons to keep in mind for these mattresses. 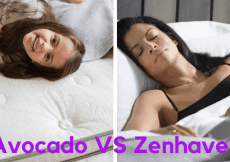 The most popular mattress sizes can be found for both brands, but the Lucid mattress does not offer a California King and the Zinus does not offer a Twin XL. This could be problematic if you are purchasing a new mattress but want to use an existing bed frame and bedding sets. Lucid is owned by a US brand and Zinus by a Korean one, but both have their beds manufactured in China. This isn’t too much of an issue as both beds still check out as being good quality mattresses, but could be a turn-off for some. Though not a fault of either bed, very hot sleepers need to be aware that memory foam can sometimes be a little warm. Both beds do well, but the Lucid bed’s gel layer does help with cooling. Both beds are made of safe foam materials, specifically, CertiPUR-US tested memory foams. This ensures there are no hazardous substances in either bed, which is often a concern for Chinese-produced mattresses. As far as customer satisfaction goes the Lucid and Zinus beds do surprisingly well. It does seem as though Zinus has more customers, perhaps due to the lowered cost, so this slightly skewed their positive reviews. If you do read through some customers mattress reviews you will find that people tend to be happy with either. The Lucid brand just released an adjustable bed frame that works beautifully with their beds. If you absolutely need an adjustable bed, the Lucid might be the appropriate option. However, it isn’t clear whether the Lucid mattress is compatible with all adjustable bed bases. - 5″ of Memory foam for softness Excellent combination of softness, support, and cooling. Variety of positions. Side and back. - Includes shipping via FedEx for free. - 100 night trial with a zero-risk return. Which Should You Buy – Lucid vs Zinus? The multi-layer design and choice of materials Zinus have used makes it on average more comfortable and also more versatile. If you are a dedicated side sleeper the Lucid will be fine, but if you tend to sleep in a variety of positions or flip between your side and back, the Zinus is a better option. If you sleep with a partner who sleeps in different positions than you, again the Zinus will prove more appropriate. Many customers also find that the Zinus to be a longer lasting mattress, despite the brand offering only a 10-year warranty. 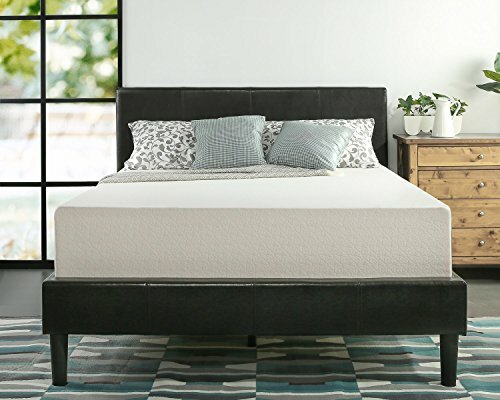 It just a nicely made, classic memory foam mattress that is incredibly affordable. If you’re really caught between these two consider your most common sleeping position, your own fondness of support vs plushness, and whether or not you’re a hot sleeper. 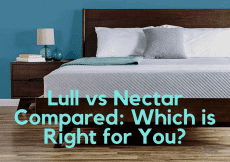 Nectar vs Ghostbed - Which is the Better Bed?